sponsored by ArtSpan, committed to cultivating a vibrant, accessible, and world-class art community in San Francisco and to promoting the city's unique creative energy locally and globally. As the year comes to an end, many of us take time to reflect upon the experiences that we have enjoyed along with the struggles that we have endured over the past 12 months. For San Francisco artists, this year has brought great challenges as we have witnessed significant changes to the socioeconomic landscape of our city. Although it has been difficult, there are many San Francisco artists who have remained resilient and have persisted by creating art as their livelihood and contribution to our community. Now is time for RESOLUTION as ArtSpan moves into the future guided by their belief that artists play a vital role in society and that broad public engagement with their work is essential to defining a new cultural environment for our changing city. This exhibition celebrates ArtSpan's resolution to cultivate and sustain a vibrant, accessible, and world-class art community in San Francisco while promoting the city's unique creative energy throughout the years to come. sponsored by ArtSpan, committed to cultivating a vibrant, accessible, and world-class art community in San Francisco and to promoting the city's unique creative energy locally and globally. 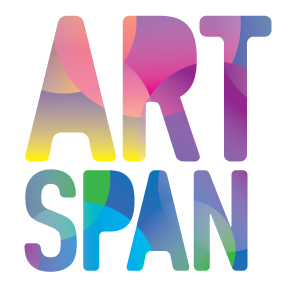 ArtSpan champions an inclusive art experience by providing hundreds of local artists with the equal opportunity to showcase their work and make direct connections to diverse audiences and patrons. They are guided by the belief that artists play a vital role in society and that broad public engagement with their work is essential to defining a new cultural environment for our changing city.